Fruit glazes can be defined as thin, semi gelatinous sweet coatings which add shine, colour, texture and flavour to a variety of chilled, frozen or baked dessert products. When used on fruit, the glazes help to keep the fruit moist and prevent it from drying out. 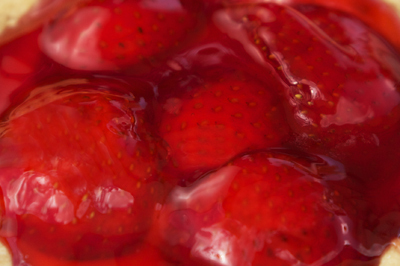 A number of factors such as the use of correct stabiliser system, need to be considered to ensure your fruit glaze achieves the quality and consistency that you are looking to attain. A number of approaches can be used to reduce the cost of your fruit glazes and your production processes. Our team at KaTech can advise you on how to create a great product for less.